Casa Milan hosts the Club's employees and allows AC Milan supporters to nurture their passion for the Club, taking advantage of services and thematic entertainment activities throughout the entire sports season. The goal is to create an emotional and entertainment journey: a unique place where the concept of #weareacmilan is fully enjoyed. During 2016/2017 football season, Casa Milan has further developed its own brand reputation, becoming a real point of reference for all AC Milan people: from supporters and fans during the match days to tourists during the summer season, from families with children up to millennials, becoming a place of urban entertainment accessible to everyone and throughout the year. A direct acknowledgement comes from the number of users our Facebook page who doubled in just one year, reaching and exceeding 80,000. This result was also enhanced by the Osservatorio sull’evoluzione digitale of the Ministry of Cultural Heritage which, on the occasion of the presentation of the results of the annual analysis held at the Teatro Piccolo in Milan, announced that Museo Mondo Milan is the museum that, more than any other museum in Italy, engaged its supporters on social networks in terms of popularity. The confirmation of Mondo Milan Museum was also confirmed by the participation in two important initiatives #MuseumWee and MuseoCity. The first one is a digital initiative of which the Museum was a protagonist for one week. Every day with a different content on Club's official twitter account with a series of exclusive images about the museum’s experience. The second one, MuseoCity is an initiative of the Department of Culture of the City of Milan, during which, on the occasion of a specific weekend in March, all the museums exhibited, in exclusive, an asset still unknown to the public. On that occasion Mondo Milan Museum exhibited, for the first time, the shirt of the captain Annovazzi, the midfielder who led AC Milan to the conquest of 1951 Scudetto with the participation of the sons of the historical Captain. During the season, the collaboration with Museimpresa continued, and Casa Milan case-history was the protagonist of numerous university lectures throughout Italy, from Sapienza in Rome to the LABA in Florence and culminating in joining the events of the Settimana della Cultura d’Impresa. Every year, this initiative, promoted by Confindustria, provides for the most important companies to open their offices to cultural initiatives on business history. On this occasion the theme was the companies’ HR and AC Milan organized a conference on the Club’s Youth Sector. Moderated by the teachers of AC Milan School of Education, the conference was attended by Filippo Galli, Head of the Youth Sector and by two athletes who have lived the entire training experience in the Club's youth ranks. The story of their path culminating in one case in sports successes and in the other case in a different career, was very exciting and engaging also for the young people present in the hall. 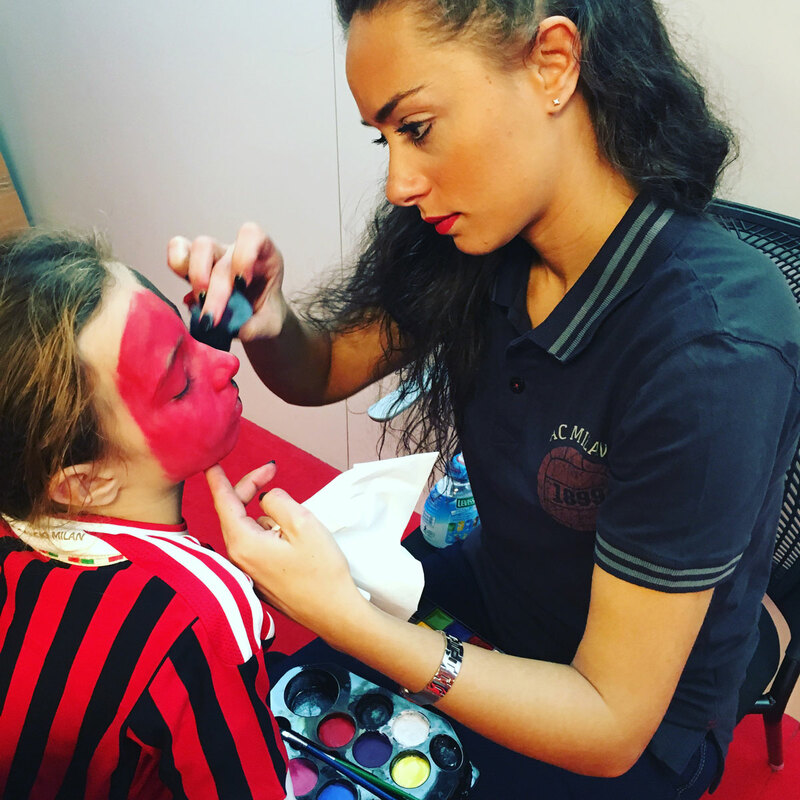 Also in this edition, the program of temporary exhibitions in the Gallery of Casa Milan continued, where the exhibitions of the two young artists Flycat, (Street Art) and Orodè Deoro, (Mosaic Art) were held told the story of rossoneri colors and of the Club. The temporary area of Mondo Milan Museum hosted the exhibition “Calciatori. Figurine in mostra” dedicated to the history of the legendary Panini sticker album which has been collected by generations of fans since 1961. The exhibition tells the genesis of the stickers in Italy and, through numerous examples, tries to illustrate also the business history of a famous brand world-wide, with clear educational purposes. At the end of the journey, all visitors can also print their personalized sticker to bring back home a souvenir of the exhibition. 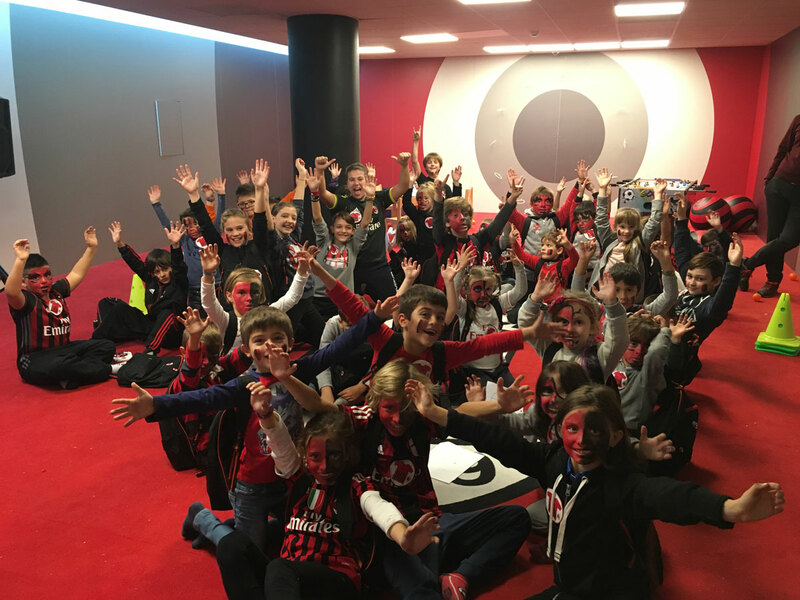 The focus on new generations of supporters continued throughout the season with two initiatives in particular “Casa Milan Junior Club: Matchday Edition” and the Birthday Parties. As for Casa Milan Junior Club, the initiative that had already been launched last year to open Casa Milan playroom to little fans, this year has been enriched by a special event. In all AC Milan’s home matches, a group of little supporters had the chance to take part in a workshop where a banner was made to be exhibited at the stadium all together. 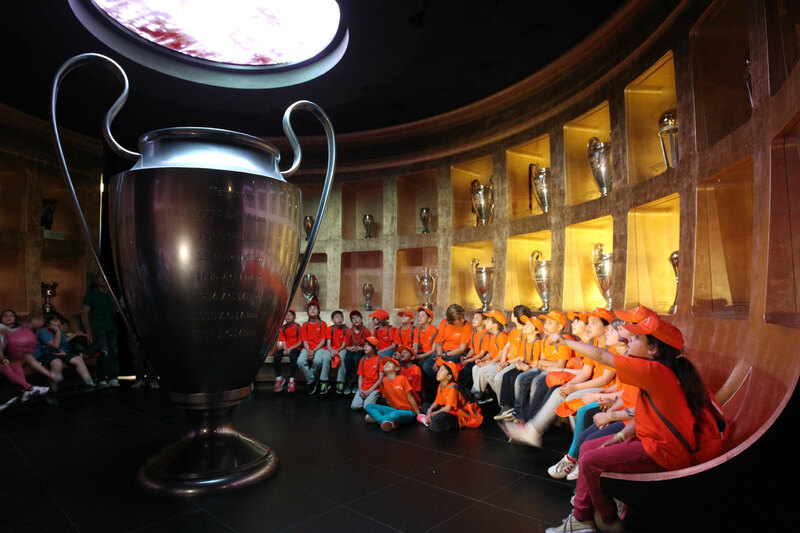 After the workshop and the snack, the Junior Club members visited the Museum and then with a dedicated bus they moved to San Siro Stadium to enjoy the match together with their parents. The initiative involved about 2000 children during the football season. In addition, birthday activities continued with a request of about 200 parties a year and entertainment activities were enriched with entertainment such as that of the freestyler who teaches children the easiest tricks to play with the ball. * The data of 2015-2016 refers to 4 months of activities. **The data of 2015-2016 refers to 9 months of activities.